A-1 Home Care Agency provides live in Caregivers or In Home Care for Senior or Elderly residents of Fullerton, Brea, Yorba Linda, Anaheim, Placentia and other cities of Orange County, CA. 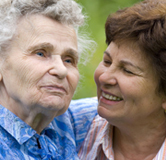 Call us at 949-650-3800 to hire a senior-caregiver. Our caregivers are capable of assisting seniors and elder individuals with health issues such as dementia, diabetes, Alzheimer’s disease, Parkinson’s, after surgery and hospice care. 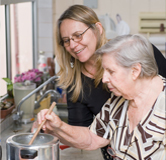 Services include housecleaning, laundry, meal preparation, personal hygiene, medication supervision and can drive to and from medical and social appointments. We provide experienced, compassionate, reliable and expert caregivers to assist you or your loved one on a schedule that meets your needs. 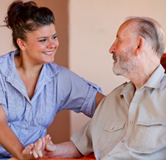 We provide assistance on an hourly, live-out basis or full-time, live-in caregiving service. All care providers, nurse aides and home health aides are carefully screened before being matched and placed with clients. Caregivers are trained in CPR and First Aid and carry Malpractice / Liability Insurance for your peace of mind. 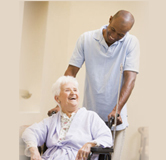 A-1 Home Care Agency can help you and your loved one. Call 949-650-3800 today for help tomorrow!